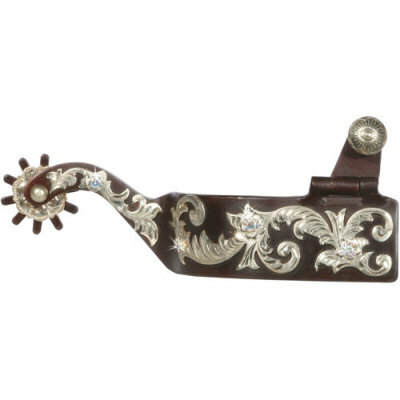 Antique finish with german silver design and accent crystals. 1 1/4'' band, 2'' neck. 10 point rowel.